Gifted - Blog: Gifted: gifts for smart cookies! Thanks so much for viewing our blog. We're a new business in 2015 but we trucking along with plenty of great comments around the net and in the media. Here is where we will give you access to it all, along with information about what we are doing and where things are happening. NZ Herald on Sunday: Reckons Gifted is one of the Best Mother's Day ideas, Wohoo! Wow! NZ Herald shows love for Gifted. We're one of the 5 best Mother's Day gift ideas! Eye Magazine has just released their Autumn mag, and they've recommended us as a great choice for Mother's Day. 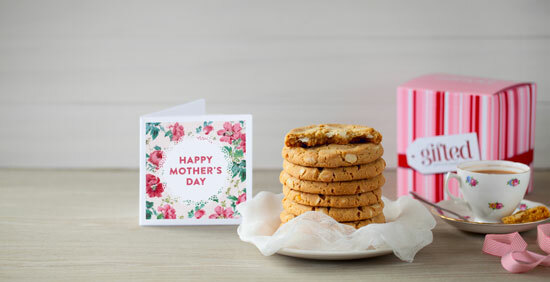 Thanks Woman's Day for recommending our Cookie giftboxes as a sweet treat to send to Mum for Mother's Day. Hey smart cookies! We've just received one of our very best testimonials ever! We thought you might like a look.